Rio Tinto has reaffirmed its transition to a low carbon future, emphasising it is the only major mining company without coal. In its report ‘Our approach to climate change’, Rio Tinto says it will take action in four areas: supply essential metals and minerals for the transition to a low-carbon economy; reduce emissions from its own footprint; identify and assess physical risk exposures; and partner to advance climate goals. The report acknowledged its iron ore price might become less attractive due to the energy and greenhouse gas (GHG) intensive steel-making process. While there is scope to significantly decarbonise its iron ore mining operations to maintain cost-competitiveness, there is large uncertainty around how the steel production sector will do so in the long run, the report stated. “Given our decision to strengthen our business and exit coal, we are now the only major mining company with a fossil-fuel-free portfolio, which means we are well-positioned to contribute to a low carbon future,” Rio Tinto chief executive Jean-Sébastien Jacques said. “The materials we produce, from infinitely recyclable aluminium to copper used in electrification to our higher grade iron ore product, all play a part in the transition to a low-carbon economy. 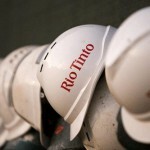 Rio Tinto plans to beat its 2008 emissions intensity levels by at least 24 per cent in 2020. 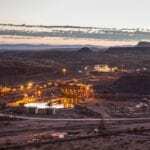 The iron ore major first set its climate change target in 2008, where its operations’ GHG emissions intensity was expected to reduce by 10 per cent over five years. It has also moved to expanding its interest in metals critical to low-carbon economy, with a strong focus on battery minerals. The Jadar lithium project in Serbia continues to progress this year as Rio believes it holds a significant source of raw material for battery technologies.